The towering Pittsburgh-born playwright’s 2005 work is notable for more than being his final play. 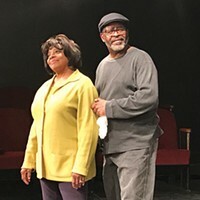 As Michelle Pilecki pointed out in her review for CP, the current solid production at Pittsburgh Playwrights Theatre Co. highlights Wilson’s lone portrait of the black middle class. After seeing last night’s show, I’d add a couple points. 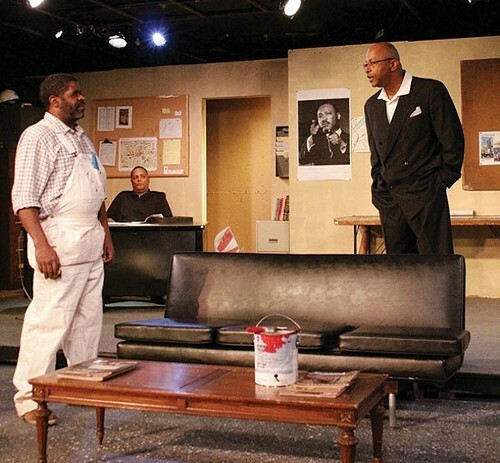 By portraying the contemporary black middle class (circa 1997) in the person of protagonist Harmon Wilks and his business partner, Roosevelt Hicks, Wilson creates a dynamic in which the black characters onstage are economically unequal — as opposed to everyone onstage being unequal to white society, which in all the plays is mostly offstage. Gem’s almost anarchic stance toward the arbitrariness of the law — how it can be instantly remade to favor the powerful and afflict the oppressed — gets an interesting sequel and counterpoint in Radio Golf. Harmon Wilks, too, is always opining how people must follow the law, an obedience that of course has always served him well, as a son of privilege. He also frequently speaks — unironically, like no character in any other Wilson play — about America as the land of opportunity. But when it turns out the law is working against him, Wilks is inclined first to follow it (even though it will set him back) and then to defy it. 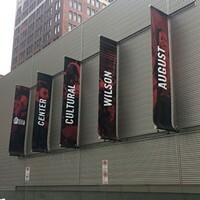 Both choices are fraught with ambivalence, but they’re good final notes for Wilson (who died just months after Radio Golf’s premiere) to have gone out on. 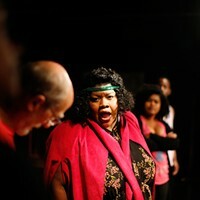 Radio Golf has three more performances tonight through Saturday. Tickets are $20 in advance and $25 at the door.